We constantly improve Ninox based on your feedback and needs, this has helped us in the journey so far. Henceforth, continuing our betterment process we request your valuable feedback of the new Ninox beta version. 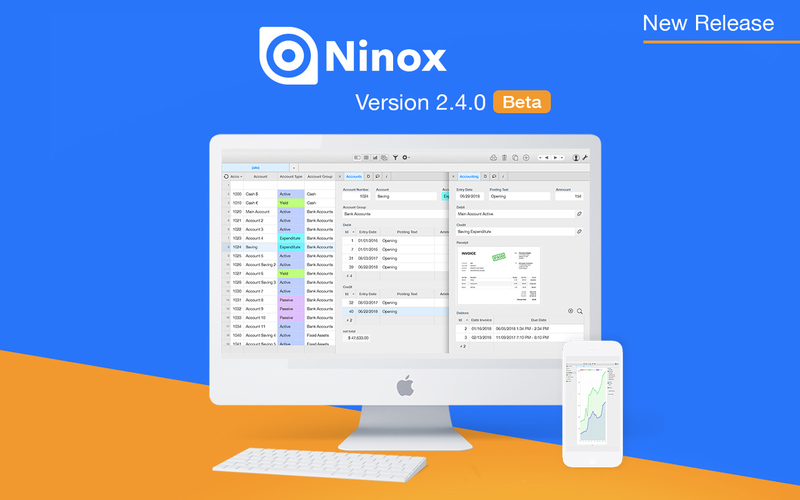 There are already more than 240 users testing the Ninox Beta 2.4.0. Thank you very much for that. We use the Ninox Beta version in our daily routine and test the new features in appropriate test scenarios in our Beta surrounding. Lots of Ninox users joined in the test in our Beta surrounding as well as our partners and consultants. Please test the newly added features & functionalities of Ninox and provide us an honest assessment. We aspire to bring forth an enhanced Ninox for you which has features that you require. • Views in forms: Use the new layout element "View" to embed a table view querying data from other tables. • Charts in forms: Use the new layout element "Chart" to embed a chart in a form. • Sharing: Table views can now be shared as public links. Choose from HTML, PDF, Excel, CSV and JSON rendering. • Zapier: Integrate Ninox with other Internet services using Zapier. Learn more in the API documentation: Download API documentation. • REST API: Read and update data with HTTP REST requests. Want to know more about Ninox?